Bruce P. Flenniken began his time at Cornell in 1969 as a member of the class of 1972 studying at the College of Agriculture and Life Sciences. However, his time at Cornell didn’t come to an end after four years, as he discovered a passion for architecture and continued his studies to become a 1975 graduate of the College of Art, Architecture and Planning. 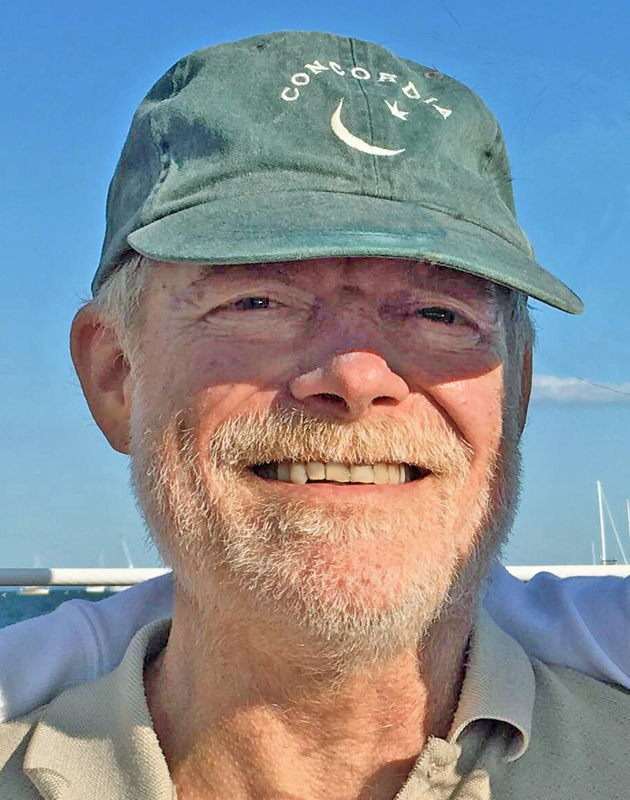 Nowadays, after running a successful architecture firm for several decades serving the Boston area, he’s enjoying retired life. Earlier this month, we caught up with Bruce to reminisce over his days on the pitch and to get his take on what Cornell Rugby means to him. Q: Let’s start with the basics. What was your position on the team? How many years did you play? Did you play rugby before coming to Cornell? A: I was a Lock and eventually became a Prop (one of the big boys!). I had never played before, and joined the team on a whim because I wanted to get involved with an athletic activity that was not as well recognized by the university. I played for three years as an undergraduate, and we did pretty well for a “self-coached” team! Q: Who was your favorite team to play against? Why? A: It was probably Harvard. At the time, they were good. Not quite like today’s Dartmouth, but always a rugged opponent. We didn’t much like to hear how good a school they assumed they were, so the pitch was as good a place as any to expose them. Q: Did you have a favorite “play”? Out of all the rugby you played at Cornell, does any match stand out? A: As someone in the scrum, the best play is always when you get a chance to score. Driving someone else over the try-line feels good, but doing it yourself feels better! As far as outstanding matches, we once traveled to Bermuda for a 7’s tournament. There were several US teams there, but playing the Royal Bermuda Regiment club was a thrill. Besides being great hosts, they came to the match with their British history of the game. Unfortunately, the pitch didn’t meet the same standards. It was mostly rocks and pebbles. That, along with our sunburns made for some painful play. Q: How about off-the-pitch rugby memories? A: That same trip to Bermuda comes to mind. We traveled to Florida to catch our flight (not sure why). Most of us had empty wallets at the time and no subsidies. Plane fare ate up most of our budgets, so we had to improvise. The night before our flight, we checked into a questionable motel as a party of two. Then one of us stayed near the car and watched the clerk. Whenever he turned away, a signal was given and another of us would run to the room. We eventually got eight of us inside. People were sleeping in chairs, on the floor, in the bathtub. It was a mess, but creative. Q: What are you up to nowadays? Do you still play? Any favorite teams? A: Ha. I’m too old and too beat up to continue playing, and now I don’t do much refereeing anymore. Here in Massachusetts, they want younger officials, which leaves me possibly available for a schoolboy match occasionally, but even those are getting to be too fast for me. One never wants to be out of position for a significant play! Right? Of course I am always a supporter of USA Rugby, but I’m also a traditionalist and keep following the All Blacks. They were my first exposure to the game, in their glory days. I also love watching the Fiji 7’s. Q: You’ve contributed greatly to the endowment fund. Thank you. How did playing rugby and being a part of the CURFC Community shape your Cornell experience? What makes you want to give back? A: As I mentioned, Cornell Rugby was not very organized when I participated. We had no field house and no dedicated field(s). Sometimes we could talk the trainers in Schoellkopf Hall into taping us on Saturday mornings before the football players arrived and kicked us out. Times are changing and I would like to see Cornell Rugby supported at the level of Cal and Dartmouth. Certainly, all the Ivy’s should be able to participate at the highest amateur level. I have met the Harvard men’s coach and we talked about the Harvard women being a varsity sport. Why not both at Cornell? I look back at all of the academic effort required to get a degree from Cornell and I remember how much Cornell Rugby was an outlet for me. We played hard, had lots of laughs and many adventures. Sometimes time takes a toll on memories, but I know that whenever I see or hear about a Cornell rugger, I know we have a bond. If I can help start a support system that will get the University on board, it would be an honor. Thanks for the interview Bruce. It was great catching up with you, and thanks again for your ongoing support of Cornell Rugby.